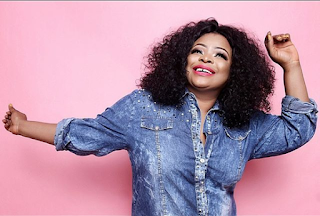 Yoruba Actress, Dayo Amusa took to her IG page to talk about being single isnt a disease. "BEING SINGLE ISN'T A DISEASE When did being single become some sort of disease that everyone wants to get rid of? Why does everyone think that being in a relationship or married is superior to being alone? If you’re single and unhappy about it, Let’s have an interactive session with these few points. * Things can change. And they will - I don’t care if you’ve been single for several decades or several days. Remember, anything and everything is possible. You just need to get out of your own way and start believing that. * Have standards - Don’t just date someone because you don’t want to be alone. You need to have the mindset that anyone who doesn’t want you is a fool, and so you wouldn’t want them anyway. * Use this time to learn about yourself - Often, people use being with others as an escape, an escape from themselves. If you’re with others, then the focus is on them, not you. But how well do you really know yourself? Being single is a precious time that can be used to really get to know and love yourself. So spend the time getting to know you. Discover new things. Work on personal growth. * Don’t chase anyone - And I mean it. Don’t even think about it! If they have to be chased, then they don’t want you. If someone is showing you that they would rather not be with you, Shrug your shoulders and move on. It’s their loss not yours. * Learn to love your own company & be focus - You’re awesome! You’re cool! If you don’t believe me, then you are wrong. Everyone is perfect in their own way. The problem is many people especially single people don’t believe it. Focus on your great job, wonderful friends, your health, your car, food on your table — you name it. When you focus on the good things, your vibration will change to being positive. Other people will pick up on it and want to be around you even more than they already do. * Keep busy with things that make you happy - Do you like running? Do you love to read or Do you like to go to happy hour with your friends? Do it! The more you keep busy, the less you’ll focus on the negatives of being single ( Keep busy and have fun, you never can tell who is watching. #JMVwithdayoamusa"